Continuing the Texas Center's Distinguished Leaders on Asia series, Australia’s 28th Prime Minister discusses U.S.-Australia relations, energy, and Australia’s trade relationship with East Asia. Michael Chen talks to Tina Edmundson and Chris Lee about what "diversity" means in a multinational company setting. Reporter Jaeah Lee describes seeing the effects of air pollution firsthand in Lanzhou, and "Gasland" director Josh Fox argues that China's growing reliance on fracking is "all the more reason to ban it everywhere else." Ella Chou, Josh Fox, Jaeah Lee, Orville Schell, and James West assess China's energy future in light of its growing reliance on fracking. Stephanie N. Mehta talks to Samir Pandiri, John Kim, and Sofia Chang about effectively leading and developing corporate culture. Jyoti Chopra describes distinctive features of the 2014 Asian Pacific American Corporate Survey and related Diversity Leadership Forum. The Medtronic President speaks about the difference in expectations for Asian Americans working at multinational companies at Asia Society's 2014 Diversity Leadership Forum. Marriott's Chief Global Brand Officer talks about the role (and challenge) of her identity in the navigation of her career. 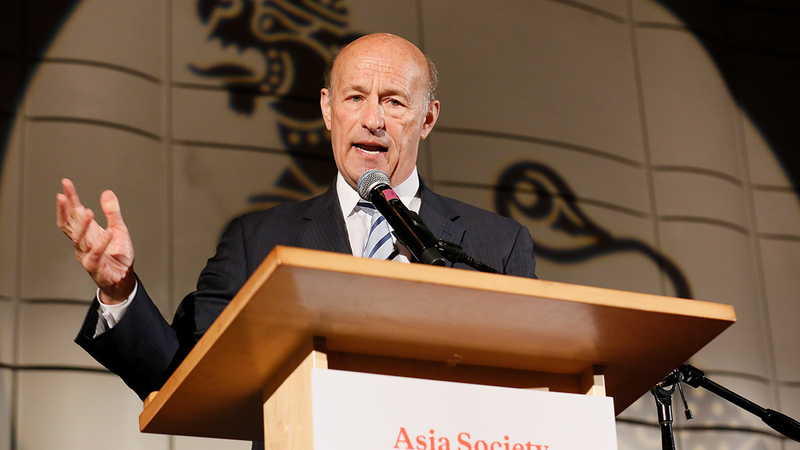 MTV World General Manager and Senior Vice President delivers the keynote address at Asia Society's 2014 Diversity Leadership Forum. Jyoti Chopra and Apoorva Gandhi survey some current problems with regard to diversity and give tips for Asian Pacific Americans in corporate America. Michael Chen hosts the finding forum where panelists, speakers and audience share key highlights from DLF workshops, roundtables, and key learnings.